That has to be the cutest card ever! He he, what a cutie. I made the same wobble head puppy valentine recently (before you even knew who I was). All I have to say is great minds think alike :). Great job! OMG!!!! this is the CUTEST puppy EVER!!!!!! WOW, I LOVE it!!! Great job my friend!!! Love the card Katie, Thanks so much for sharing! I really enjoy all your videos. I'm gonna have to get me some wobbleheads!!!! OMG, this is so cute, I will have to make one of these myself, I didn't know they started selling the wobbles, thanks for the info and great job on the card!! Aww this little dog is so adorable! Great card! I just love Emma's new stamps! SOOOOOO cute! Thanks for the awesome video and ideas!! AWWWWWW!!!! 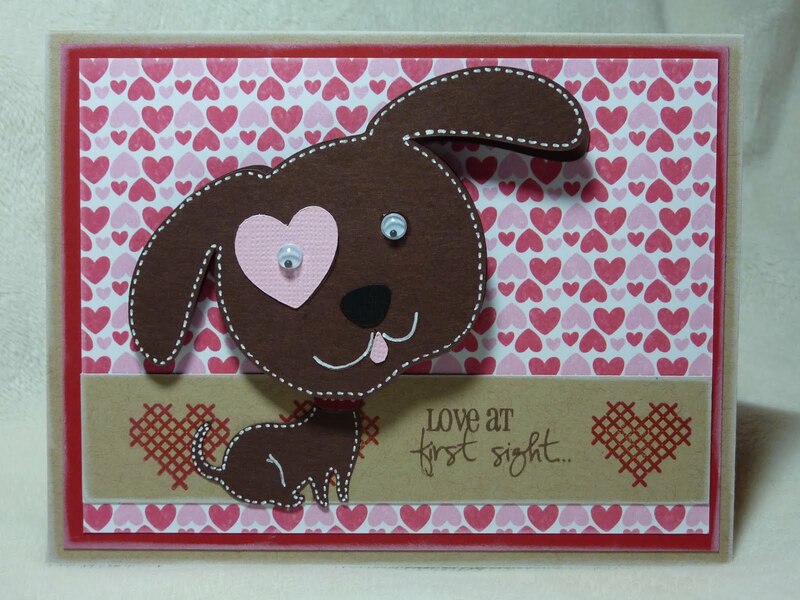 Thanks so much for the shout out...I really appreciate it =) I LOVE LOVE LOVE your puppy card...its sooooo stinkin cute!!!!!!! So glad you were able to get Action Wobbles...cant wait to see what else you make with them!!! CONGRATS on making Emma's DT!!! Your wobble head puppy is sooooooo cute. Oh just love your puppy I bought some wobbles, but have been hoarding them HA HA HA!